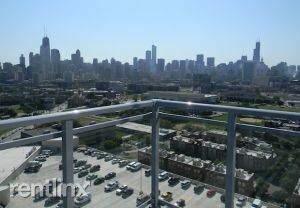 Take in views of downtown Chicago or Lincoln Park from each home at this property. Choose among studio, one- and two-bedroom floor plans with plank flooring, high ceilings and a private balcony. The kitchens feature stainless steel appliances, quartz countertops and espresso-colored cabinetry. Take advantage of the convenient washer and dryer set when laundry day rolls around. Enjoy all that the fourth floor has to offer, including an outdoor lounge with fire pit, grilling area and dog run. Also on the fourth floor is a pool, spa and 24-hour fitness center. Skip the lines and watch your favorite movie in the theater room. This property also offers a valet dry cleaning service, storage lockers and a bike storage and repair room.